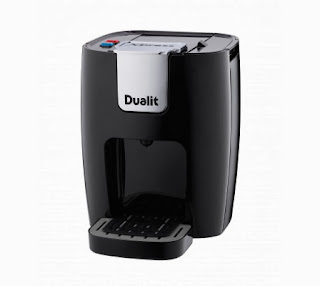 We are on our second Dualit Coffee Machine in twelve years and they are excellent examples of British engineering, reasonably priced, and the company's customer care and after-sales service is second to none. When I have had cause to contact Dualit for advice or spare parts they have always been very responsive. A few years ago they sent me a replacement brew head for my machine at no charge. The Dualit website is very informative and has easy to access manuals and instructions and the ordering of machines, parts and accessories. Therefore, it is good to see a new Dualit machine, the XPRESS 3IN1, entering the coffee making market this Christmas, to compete with the many Italian and Spanish machines clogging up our department stores. In addition ,there is increased competition from Dualit's NX capsules with the popular Nespresso coffee pod system, which you can only buy on line at 29p each. NX capsules are available from Sainsburys at 25p each . 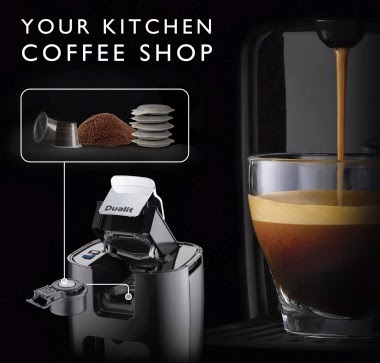 This Dualit Xpress 3in1 Coffee Machine gives maximum choice in a compact coffee machine and extracts professional quality espressos while offering a space-saving solution for the most stylish kitchens. With this machine, you have the freedom to choose from three versatile coffee options - convenient NX Capsules, mess-free ESE Pods and luxurious ground coffee (see below). You can drink what you want, when you want it, from your kitchen's very own coffee shop. 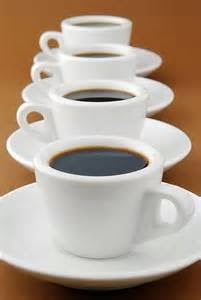 It's compact, clean and its non messy use makes coffee making a pleasure. It may have a petite form, but this space-saving machine packs a powerful punch, delivering a flavoursome, full bodied taste, with a rich aroma and dense crema that coffee shop baristas envy. It can produce velvety smooth espressos that will please even the most precise coffee connoisseurs - all at the touch of a button.There is a 15 bar pump,illuminated push-button with on/off and start/stop controls. The machine heats up time in 45 seconds. A removable 500ml water tank and removable drip tray with non-slip drip tray mat makes this 1200W machine very attractive. The new machine is marketed on the Dualit website at a competitive price of £99.99. I got a sample of these capsules and I must admit its really tasty coffee, I got the sample from http://www.fabfreesamples.co.uk/free-dualit-coffee-pods/ and since I have bought it.